Mastro’s Ocean Club at City Center in Las Vegas, NV has a multi-zone audio system that includes a selection of JBL Control Contractor Series loudspeakers, Crown Audio amplifiers, dbx ZonePRO digital zone processors, and AKG microphones and accessories. Automated Environments, electronic systems integrators based in Mesa, AZ, designed and installed the system.Clubbing: It’s not what it used to be. Now, while you’re shaking it to a hot salsa beat in one room of a venue, your friends can be cooling down with jazz in another. Chalk it up to the wonders of multizone audio systems designed to be handily operated by end-users. Yamaha’s DME64N, DME24N, and DME Satellite Series open architecture processors are typically targeted for larger projects with complex AV systems such as stadiums. But its new MTX Series matrix processor is designed primarily for multi-zone commercial installations and is preconfigured, so there is less time required for upfront design, he added. “These have a fixed architecture with several available control features including wall controllers and iPhone/iPad apps for wireless controls, and we’re looking into the possibility of adding an Android app. A restaurant hostess/bartender, for example, would be the ideal user for this iPod type of control. But do these openarchitecture DSP products and new design software offerings actually improve projects and profits? Rane’s HAL architecture easily guides even novice users through what was once complex, and is more than “just another DSP dragand- drop system,” Macatee said. “HAL does not require matrix mixing or presets for room combining and paging, and no virtual wiring is required to distribute pages and background music to multiple zones. The HAL Multiprocessor and Halogen software checks the status, location, Cat-5 wiring integrity, and ensures that audio is flowing in all peripheral devices, so you know your system is properly connected and ready to go. HAL’s “Get on the Plane” live device display, complete with a host status green go-ahead indicator, informs the operator that all hardware devices in the original Halogen design file are physically present in the building, connected in the proper location, and control communications and all audio I/O are already working, as well as indicating the status of other functions. The core of any flexible and extensible multi-zone system should support three critical aspects of the system: signal distribution, signal processing, and control. “Obviously, signal distribution to multiple zones is the main requirement, but how this is done, and the flexibility of methods to do this, is essential to the product’s success,” Ivey said. Signal processing through MediaMatrix’s NWare software equips the consultant or designer with all of the tools they need to construct multi-zone audio and control systems, Ivey said. “This software allows the system to be designed, and the individual zones laid out, via networking, processing, and amplification. Obviously, different zones may require different processing since acoustics are different in each space. NWare is unique in that specific processing can be applied in each zone, and where required, active and automated processing can be applied to manage the ambient levels, equalization or muting of signals to specific zones. The Ranch Restaurant and Saloon, established by Extron founder Andrew Edwards in Anaheim, CA has a networking system that includes two Yamaha M7CL digital audio consoles, using the M7CL control surface at front of house connected to a Yamaha NAI network interface, AD8HR mic pre amp, and EtherSound cards, all running off a Yamaha DME64 digital mixing engine.Peavey’s new Kiosk2Go feature, which will be included in the next release of NWare programming software, is the free software package for creating and programming audio and control systems with MediaMatrix. “Kiosk2Go is an application which will allow designers to extend their kiosk control interfaces, which they’ve created in NWare, out to any mobile device via the web browser component and HTML 5. So any control interface that a designer can create in NWare can now be used wirelessly with any Android, iOS, Blackberry, Windows, or Linux mobile device,” he said. MediaMatrix also supports “N+1” redundancy in its systems, meaning a one-for-one backup is not needed for systems with multiple NION processors or power amps; one redundant processor or amplifier channel can be pressed into service to take the role of a system component that has failed or has been taken out of operation by an event. Multi-zone audio installation often comes with inherent rewards because of the types of associated projects and the satisfaction of introducing fresh technologies to clients. In smaller venues, clients often want to create background sound with iPods or online music streaming services, but what about licensing/legal challenges? 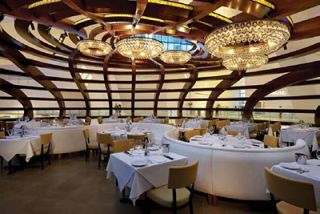 & Light to optimize the system in each zone with custom EQ and other processing.The recent installation of a QSC Q-Sys Core 250i processing and management system has significantly improved sound quality and user control to the bar, restaurant, lounge, and lobby areas of the boutique Tribeca Grand Hotel. Systems integrator Canal Sound and Light, in consultation with Danny Taylor, a freelance audio contractor and nightclub designer, installed the Q-Sys system along with more than two dozen QSC AcousticDesign surface- and ceiling-mount loudspeakers powered by QSC CX Series amplifiers. In addition to the Core 250i, Canal Sound & Light installed an assortment of QSC AcousticDesign loudspeakers including: ten AD-S282H high-output, dual 8-inch, two-way, surface-mount speakers; eight AD-S82H high-output, 8-inch, two-way, surface-mount speakers; five AD-S28TW surface-mount subwoofers (in the atrium); four AD-Ci52T compact, two-way, sealed enclosure ceiling speakers; and a single QSC KW181 18-inch subwoofer. One CX302, five CX902 and four CX1102 two-channel amplifiers drive the installed loudspeakers. The Q-Sys system also enables Canal Sound & Light to provide the Tribeca Grand’s managers with networked touch screens as well as wireless, remote level control in each zone. “One of the best things about the Q-Sys Core 250i is that it operates over standard-layer 3 Gigabit Ethernet,” said Kwan, whose crew installed the QSC TSC-3 3.5-inch touch screens in the hotel’s bar, lounge, and studio buffet/ conference room areas. Kwan also designed a custom app using Q-Sys Designer software that enables any hotel manager to walk into a zone and adjust the audio level with a swipe of a finger on a Q-Sys network-connected iPhone.